The Court of Appeals (CA) junked the Office of the Ombudsman’s dismissal order against former Makati City Mayor Jejomar Erwin “Junjun” Binay over the alleged overpricing on the construction of the city hall’s parking building. In a 159-page decision dated May 3 penned by Associate Justice Edwin Sorongon concurred by Associate Justices Sesinando Villon and Maria Filomena Singh, the CA’s Tenth Division nullified the Sept. 7, 2015 joint decision issued by the Ombudsman which found Binay along with 20 other city officials guilty of serious dishonesty and grave misconduct for the irregularities committed for alleged overpricing in the procurement of the architectural design and engineering services and construction of Phases I to V of the Makati City Hall Parking Building (MCHPB). The CA noted that the alleged irregularities in Phase III to V of the MCHPB which was the basis of serious dishonesty and grave misconduct filed against the former mayor before the Ombudsman transpired before Binay was elected in 2013. “Verily, based on the foregoing circumstances and in line with the pronouncements of the Supreme Court in Carpio-Morales, the abandonment of the condonation doctrine should not be given any retroactive effect as to prejudice Binay, Jr. for the acts he allegedly committed when said doctrine was still in effect and duly recognized,” the CA ruled. “Considering that the present case was instituted prior to the ruling of the Supreme Court in Carpio-Morales, the condonation doctrine may still be applied,” it added. The CA did not give credence to the argument of the Ombudsman that Binay cannot use the condonation doctrine for his defense because he signed and approved an undated disbursement vouchers (DVs) on July 24, 2013 amounting to PHP429,011 and another disbursement voucher dated July 3, 2013. 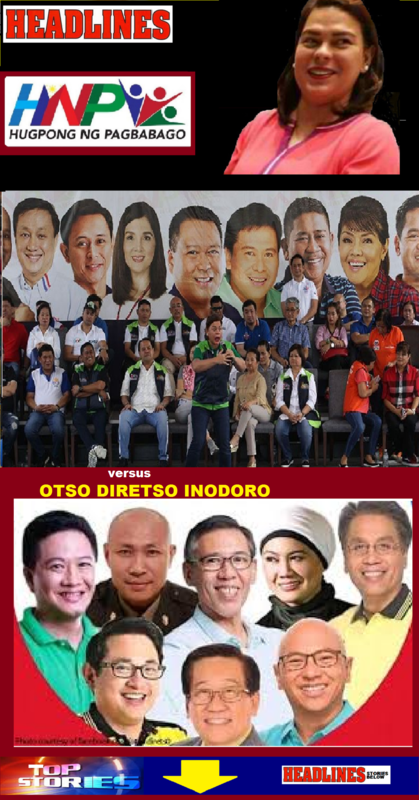 The Ombudsman noted that the said acts were done after his re-election in May 2013 and during his second term, thus, the condonation doctrine has no basis. But, the CA said while the said vouchers were signed after Binay was re-elected, it is fact that the said DVs were related to the services pursuant to contracts which were already entered during prior his term. “Indubitably, this Court cannot sustain the Ombudsman with respect to Binay, Jr. without utterly disregarding the foregoing pronouncements of the Supreme Court,” the CA declared. “Given the factual circumstances herein and the prevailing jurisprudence, this Court holds that the undisputed and subsequent re-election of Binay, Jr. in the year 2013 is a condonation of his administrative liabilities,” it added. The Ombudsman, in the same decision September 2015, ordered the dismissal of Binay and his co-accused from service. However, the CA held that the Ombudsman erred in ordering Binay’s dismissal since the condonation doctrine should have been applied in his case , which states that an erring official is considered to have already been forgiven for acts in his past term once he is re-elected. While the SC abandoned the condonation doctrine on the premise that it has no legal bases under the 1987 Constitution together with the other pertinent provisions of law in a ruling issued in November 10, 2015 in the case of Carpio-Morales v. Court of Appeals (Sixth Division) and Binay Jr., the CA noted that the court also ruled that the abandonment should be prospective in application. The CA decision also modified the Ombudsman’s ruling with regard to Binay’s co-respondents. The appellate court granted the petition filed by City Administrator Marjorie de Veyra and City Accountant Cecilio Lim III for the dismissal of the administrative complaints filed against them in connection with the MCHPB. Likewise, instead of serious dishonesty and grave misconduct, the CA found respondents Emerito Magat, Nelia Barlis , Leonila Querijero and Raydes Pestano, all city government officials guilty of simple misconduct, thus, warranting only their suspension from the service for six months instead of dismissal. On the other hand, the CA granted the petitions of respondents, Eleno Mendoza, Jr., and Virgina Hernandez to dismiss the administrative complaints against them. The appellate court ordered their reinstatement to their former position and the payment of their salaries and other benefits that they did not receive by reason of their dismissal. The CA, meanwhile, affirmed the dismissal order issued by the Ombudsman on the other respondents, namely City Legal Officer Pio Kenneth Dasal, City Budget Officer Lorenza Amores, Civil Engineer of the Central Planning Management Office (CPMO) Arnel Cadangan, CPMO chief Line dela Pena, City Legal Officer Giovanni Condes, Technical Working Group (TWG) officer Rodel Nayve, General Services Department staff Norma Flores, Bids and Awards Committee (BAC) member Ulysses Orienza, CPMO staff Connie Consulta, BAC secretariat Manolito Uyaco and BAC member Gerardo San Gabriel. The younger Binay earlier pointed to the the rivals of his family as the ones behind the complaint in an effort to tarnish the reputation of his father, former Vice President Jejomar Binay, who ran for the presidency in 2016. Binay insisted that he cannot be held accountable for the alleged anomaly since three of the seven construction phases of the MSHSB were done when he was not yet the city mayor.